How can I register on Kammavarkalyanamalai.com? 2) Add other information in the next steps. Congratulations, your profile is now registered with us. Is that possible for a person to create multiple ID? It is not possible for the user to create multiple accounts, instead you can register for any of your brother/ sister you can register for a separate profile with another valid Email id. What is profile validation and what criteria is a profile validated?? Our support team validates each and every profile carefully on specific criterion before it is added to our database. E-mail will be sent to you once the profile is validated and added. The members of Kammavarkalyanamalai site must make sure that the documents provided belong to the person who have registered. The name, date of birth, phone number must be validated. We categorically ignore profiles that are submitted by underage persons and profiles that contain abusive content. We Maintaining the Highest Quality of Information in the database we serve to ensure only members who are serious about marriage make use of the service. Is that possible for a member to fill a single form and get registered in all regional site? Yes, it is possible for a member to fill a single form and be present in Kammavarkalyanamalai.com. Is that possible for a member to register for anyone else with the same ID provided? Yes it is possible to register for someone but with different matrimony id as the id provided is unique for each user to avoid confusion. Is that possible to choose my own matrimonial id? Possible to choose own member id? No, it is not possible to choose your own matrimonial id as it is generated by Kammavarkalyanamalai server in random. Is that possible for me to register behalf of my friends/ relatives? Yes it is possible to register on behalf of friends/ relatives or someone. You can't use the email id common but You can register with different email ID to register on behalf of friends/ relatives or someone. Whenever a person is about to contact you the first attention go to the profile description. The profile description include your likes/dislikes, family, education, career, and your interest and expectation about your bride. All profile details have to be filled in order to complete the registration. These essential information about you to other Members and helps them to take a decision quickly. Is that possible to hide the mobile number provided? Yes,it is possible to hide your number by choosing edit profile page, in the page click on edit mobile number link near by your mobile number and click hide mobile number to hide it. Mobile verification is done to check your accuracy only when your mobile number is validated to be correct you are allowed permission to access our Kammavarkalyanamalai.com. Unless you verify your mobile number, you cannot use our service. 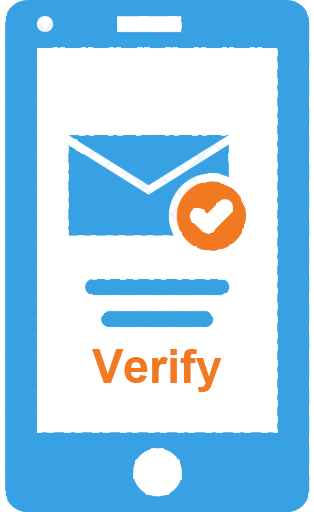 The verification process is done free of cost. Only paid members can view your mobile number and you will also get to know the members who have viewed your mobile number. kammavarkalyanamalai is the only site to display 100% verified mobile numbers. How can i verify my mobile number provided? After adding up your mobile number in profile we'll send you an OTP to your mobile number then you enter the four digit OTP provided therefore the verification process is completed. Is that possible to know who have viewed my mobile number? yes, it is possible to know who have viewed by selection members who viewed my mobile number link in your message page. Who can view my informations provided in the profile? Is that possible for a member to reactivate the account? It is possible to reactivate the account by contacting or writing to our Kammavarkalyanamalai.com within a month of time. Is that possible to change the password? Yes, it is possible to change the login password by clicking in to change password option at top menu in your user home page. Enter the current and the new password and click change. Is that possible to recover the password? If you forgot your password you may choose the option forgot password below the login page, thus it ask for e-mail id, thus it sends the link to change new password. But the old password cannot be retrieved. How can I login into my page? Provided with your email id or Matrimony id and password you are allowed to access your home page. Is that possible for a member to skip on any of the mandatory field while registering? The mandatory fields are important as it appears on your profile when someone views, thus it should be filled with knowledge. Is that possible to see who is online? Why should we set Partner Preference? By applying the specific preference and expectations, it is possible to get a perfect life partner sooner. Based on your profile details and Partner Preferences, kammavarkalyanamalai.com shows you a list of profiles under 'Matches' list.